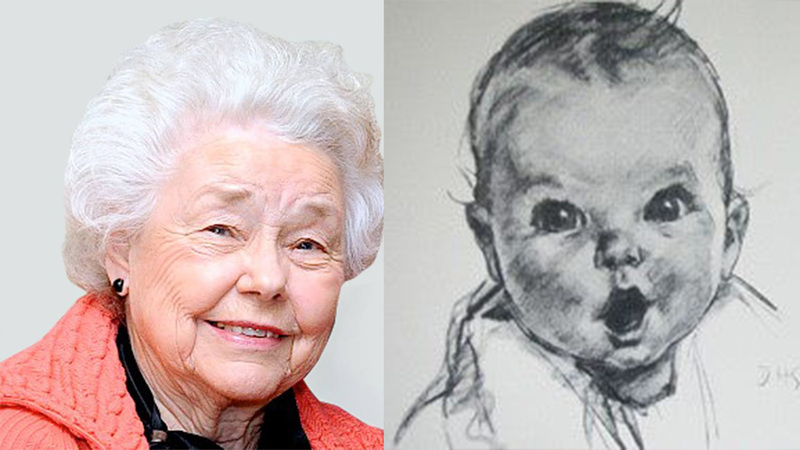 The original Gerber baby, Ann Turner Cook, celebrated her 91st birthday on Monday. Cook was just 4-months-old when her newborn face became famous! In 1928, Gerber held a contest to find a face to represent their baby food advertising campaign. According to the company's website, some artists submitted elaborate oil paintings, but one artist, Dorothy Hope Smith, an artist who specialized in children's portraits and who just happened to be Cook's neighbor, submitted a simple charcoal sketch and offered to elaborate on it if it was accepted. Gerber executives said they couldn't resist the adorable baby face and selected the classic drawing as-is. Cook began appearing on Gerber products in 1928 and became the company's official trademark in 1931. On her birthday, Gerber posted a tribute to the no longer baby Gerber baby on their Facebook page saying, "Happy 91st Birthday to the original Gerber baby, Ann Turner Cook!" After growing up, Cook worked as an English teacher for most of her life.